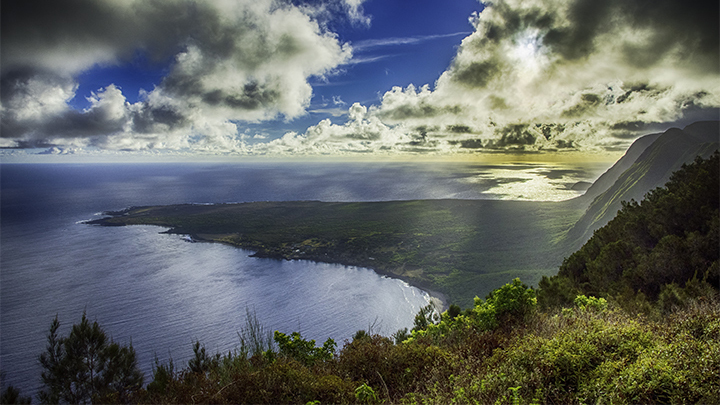 You can use our Hawaii hiking tips on the Kalaupapa Trail on Molokai. Hawaii offers some of the most beautiful hiking trails anywhere in the world. But, the islands’ beauty can become a distraction when experiencing its majestic scenery and awe inspiring solitude. To be prepared, here are some Hawaii hiking tips that you should follow. Hawaiian has a variety of picturesque trails ranging from easy to extremely difficult. You can find out which ones you’d like to take through the Department of Land and Natural Resources (DLNR) website. This is a great place to get Hawaii hiking tips when preparing for your hike. Avoid bad weather conditions by keeping a close eye on weather forecasts before (and during) your hike. Don’t hike when the weather is heavily foggy or raining. Trails become muddy and slippery and have less visibility. Typically, the prospect of rain would be your foremost weather concern. 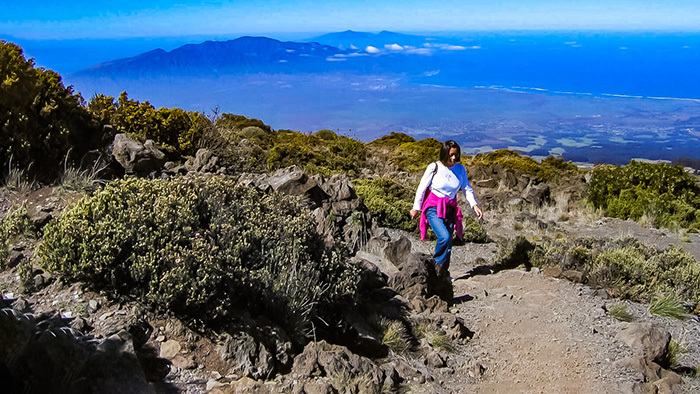 Also, if you hike the higher volcanic peaks, you have to prepare for colder and sometimes freezing weather. It is enticing to take a solo hike in Hawaii. But hiking alone can pose some problems. 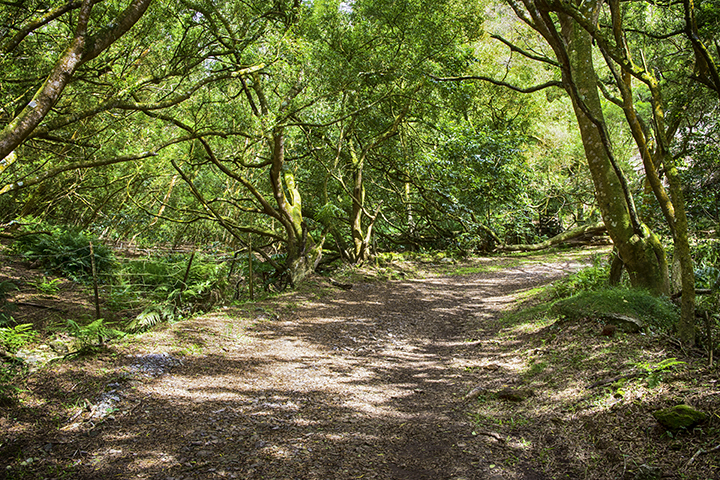 Even with experience, hiking by yourself in an unfamiliar environment can be hazardous. Having a companion offers the security of having someone to help you in emergencies. Often times, tourists are not prepared to hike. They may not have food, water, sun screen and proper footwear. As they continue on the trail, they find themselves not realizing how far they’ve gone. Sometimes, this creates minor issues such as sunburns and minor foot injuries. But at other times, it can lead to major ones, such as heat exhaustion, dehydration and even getting lost. So avoid getting deep into the trails without full preparations. Let someone know where you will be hiking and when you expect to be back. If you have travel companions, then it is simple. But if you are traveling alone, don’t hesitate to let your hotel know about your plans. This will make your hiking party easier to find if something does go wrong. Some hikes could be on unsanctioned trails. But taking them may not be worth the risks. You can find list of state sanctioned hiking trails listed on the Na Ala Hele Trail & Access Program website. Finally, here are the best Hawaii hiking tips we can give you. You can often avoid a lot of problems by using common sense. Avoid accidents by not taking any unnecessary risks. Pay attention to where you are going. And don’t showboat to impress your hiking companions. Avoid getting close to the edges on steep mountain trails or along high rocky sea cliffs. Many visiting hikers have been injured or have died this way in Hawaii. Also, stay far away from crashing waves on rocky sea coast trails and keep your distance from blow holes. These are water spouts with wave water blowing through cracks in jagged rocky sea coasts. Many are not aware of how strong Hawaii’s waves can be. Large waves have washed a high number of tourists out to sea with no way of safely returning to shore. You can avoid most accidents by just realizing your limits and by simply exercising common sense. So keep that in mind while you enjoy the scenic hiking trails of Hawaii.